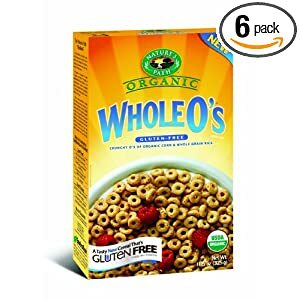 Amazon: Organic Gluten Free Cereal as low as $1.36/box! This month Nature’s Path cereal is 25% off if you use subscribe and save and promo code NATPATH5. All of these do not list wheat, nuts or soy in the ingredients. One reader kindly pointed out that while these allergens are not listed on the ingredient list, they are likely manufactured in facilities that process these allergens. Please take this in consideration when placing your order. As always, make sure you double check the ingredient label on the box when you receive the product. When you select subscribe and save you not only get a discount but you also get FREE shipping! If you don’t want to receive the item every 6 months, you can always cancel by simply logging into Amazon, go to “My Account”, click “manage subscribe and save items” and cancel the subscription. Want to see more allergy friendly recipes and deals? Be sure to subscribe to RealFoodAllergyFree.com email updates in the side bar so you don’t miss out on anything new. I am very pleased on finding this blog, which is extremely valuable.